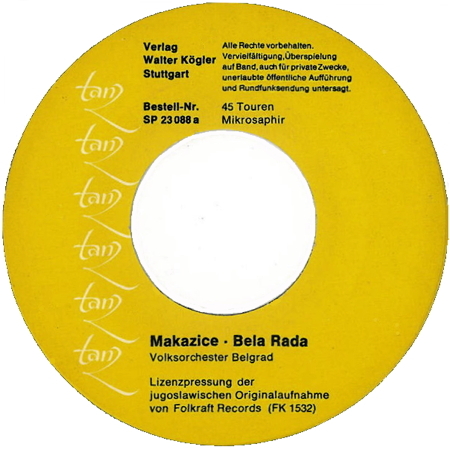 Tanz is a dance label from Schallplattenverlag Walter Kögler of Stuttgart, Germany. The company issued several dance records, mostly with a small "explaining" insert. The dance pioneer, Walter Kögler, who founded Tanz Records, died in 2007, but the company is still going strong.